It feels like it’s taken ages for me to get out to Belgium this year. 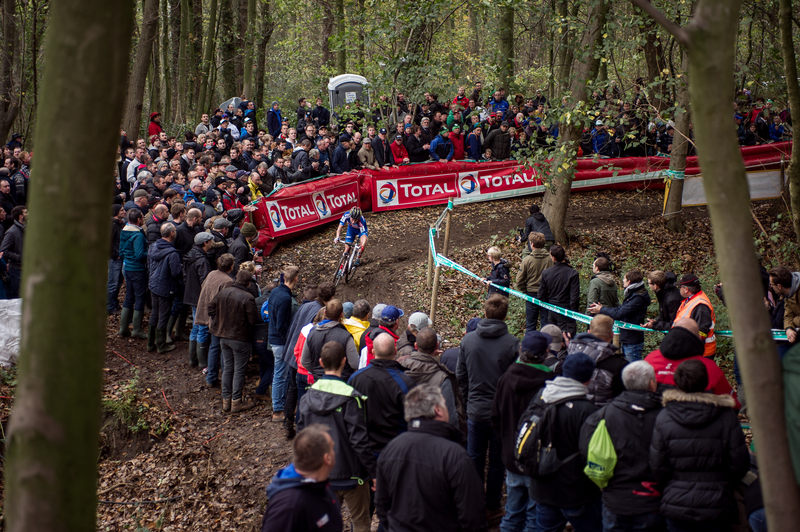 The World Cup is well underway, Koppenbergcross and Zonhoven are already done, and I’ve only just stepped off the Eurostar. Gavere is a classic course though, set on the side of a hill half in an arboretum and the other half in some kind of military facility. 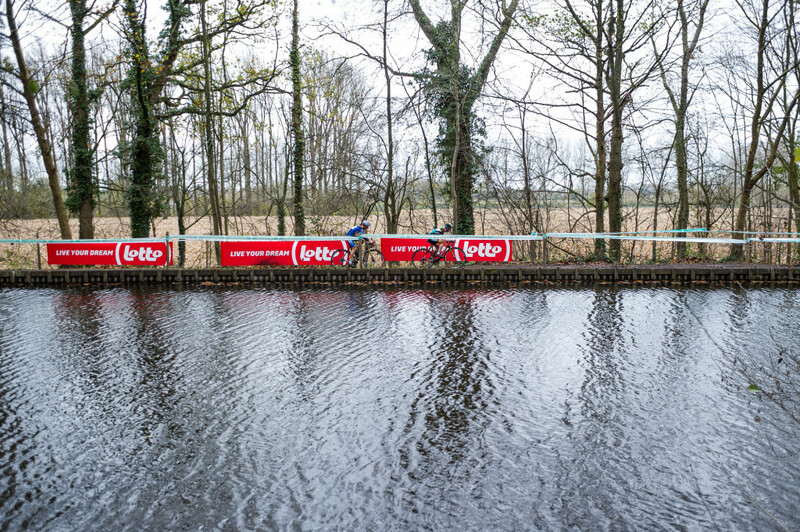 As with so many famous Belgian locations, it is on the outskirts of an otherwise humble Flemish town that is overwhelmed by cycling fans one day a year. 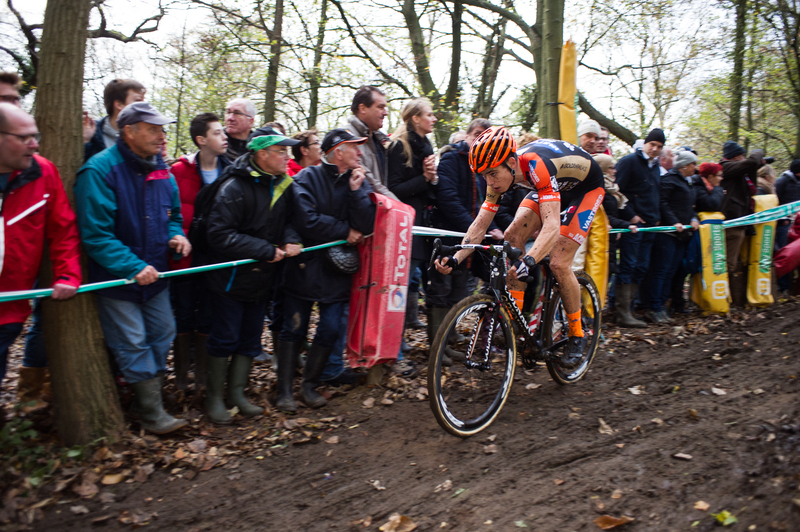 Unlike Koppenbergcross, or Koksijde, where I’ll be next weekend, Gavere still has a very local feel. There aren’t many overseas riders, and the crowd seems mostly to have walked from their homes in town. Cross doesn’t really feel like cross until there’s an ankle deep slop of mud and beer outside the Feest Tent. So after a very warm, dry Autumn I was pleased that the weather finally turned Flemish, bringing wind and rain to the ‘bergs. 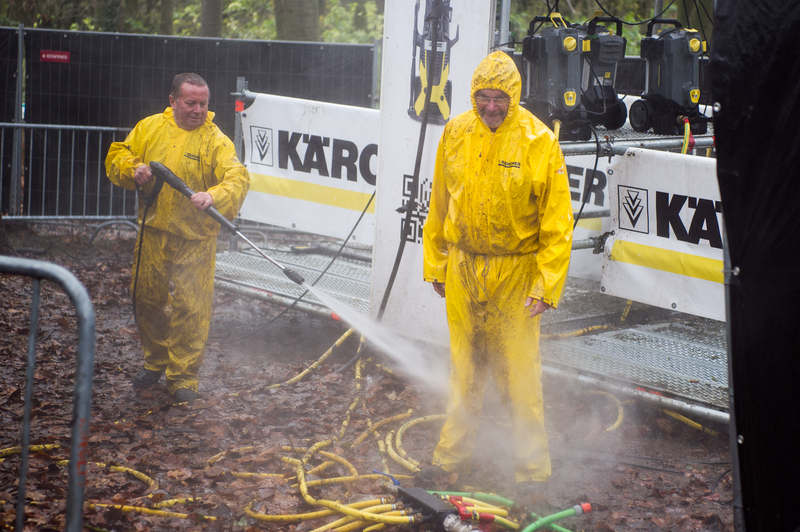 For the first time this season, the pits were a really busy, muddy place. 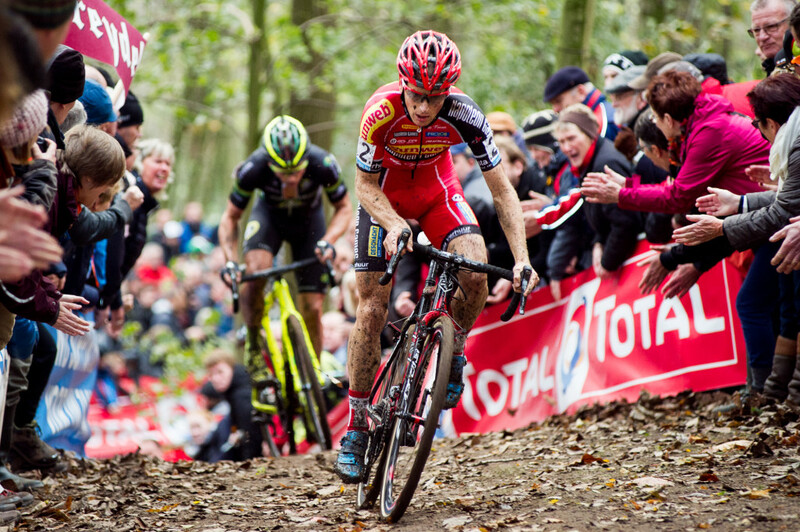 Jolien Verschueren is from just down the road in Kortrijk and was the overwhelming crowd favourite. 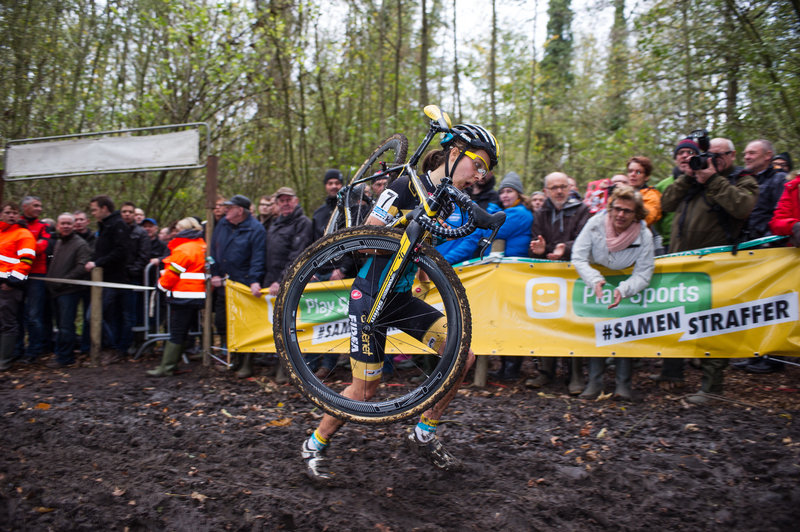 The cheers for her even louder than for Sanne Cant, who found her form again in the mud and took a commanding victory. After several failed attempts, I was finally able to get full photo accreditation for continental cyclocross this year. To get creds, you are required to have a press card issued by the appropriate European agency. To get the press card you will need to join two separate press associations, one in the UK, then one in Europe. To join said press associations one must have an A4 envelope stuffed with published work to show to the committee, plenty of patience and a lump of cash. Once the two cards, one from the UK agency and one from the EU agency arrive, a form for each event is filled out, and a lanyard and bib issued for the day. Then you get to shoot from the other side of the tape and it’s all totally worth it. 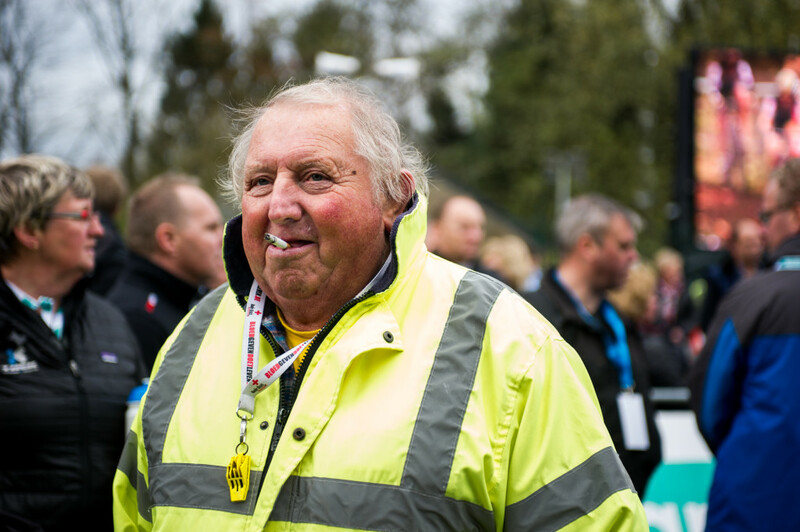 By the time I’ve packed my kit and returned the hard earned bib and lanyard, most of the fans have already gone. 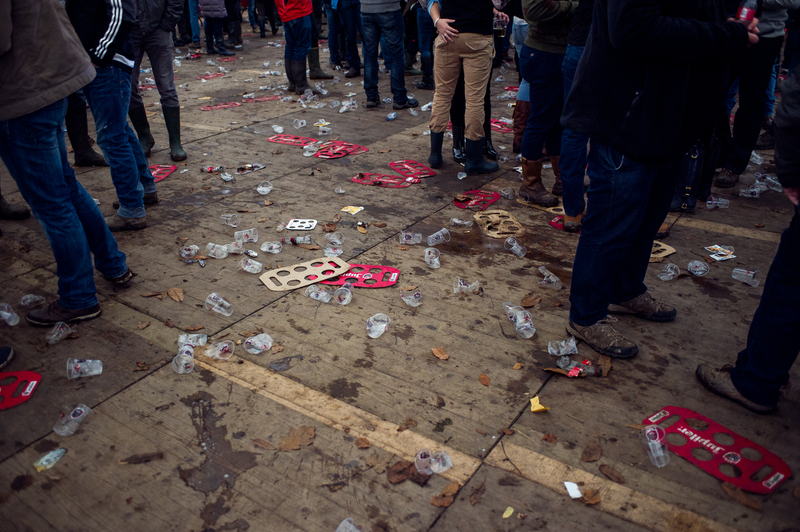 Those who are left congregate in the Feest Tent, and will be here adding to a beer soaked pile of crushed cups and muddy leaves till the DJ refuses to play ‘Sweet Caroline’ anymore and they all wander back into to town. Previous Previous post: The Big Picture: Fairhill Cyclocross and Who is Fatmarc?